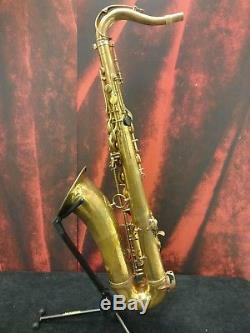 Henri Selmer Paris - 1961 Mark VI Tenor Sax with Case. PLEASE MESSAGE ME FOR MORE PICTURES! 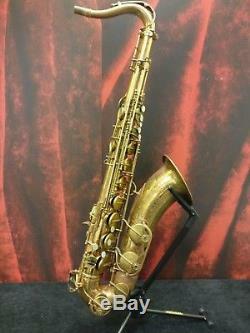 This is a beautiful 1961 American-assembled Selmer Mark VI Tenor sax in good condition! The serial number is 95376. 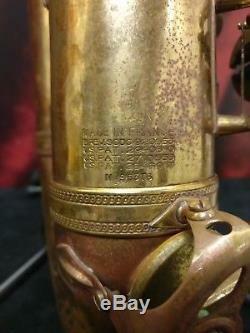 The neck serial number is 95332. This horn has been fully inspected, adjusted, cleaned and certified gig-ready by our expert in-house woodwind repair technician. 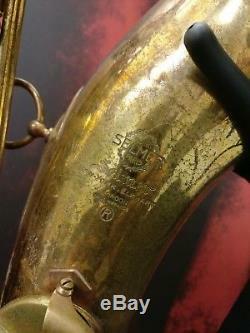 While this sax has the original lacquer, it has worn down in several places as noted in the photos. There is some solder work done on one of the key guards. This is also shown in the photos. There is a small dent near the thumb rest and a few small dents around the bow. The neck has a bit of pull-down because of some damage near the tenon. Most of the pads are either new or have seen very little use by the previous owner. 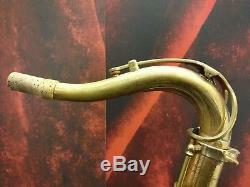 When we acquired this sax, the non-original case that came with it was in bad shape. It had some damage to the zipper as well as damage to the structural padding. 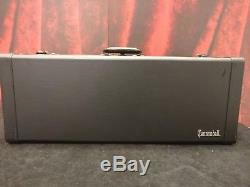 This case is seen in the last photo. 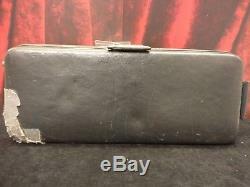 We can replace this with a new hard-shell Cannonball tenor sax case as seen in the photos. The Mark VI needs no introduction. 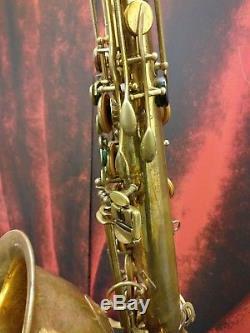 It is the pinnacle of saxophone design and is arguably one of the best playing horns ever made. The sound on this is just incredible. 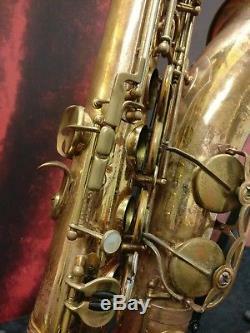 It can handle the highs with a clean, well-defined sound and lows with a bite that you simply cannot hear in other saxes. 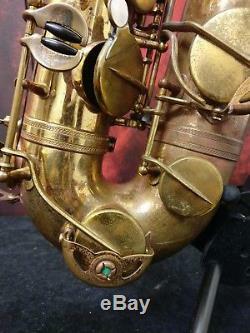 This truly is a saxophone player's dream! 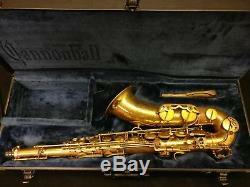 The item "Henri Selmer Paris 1961 Mark VI Tenor Sax with Case" is in sale since Tuesday, November 27, 2018. 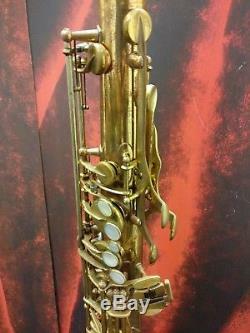 This item is in the category "Musical Instruments & Gear\Wind & Woodwind\Other Wind & Woodwind". The seller is "samashflorida" and is located in Margate. This item can be shipped to United States.